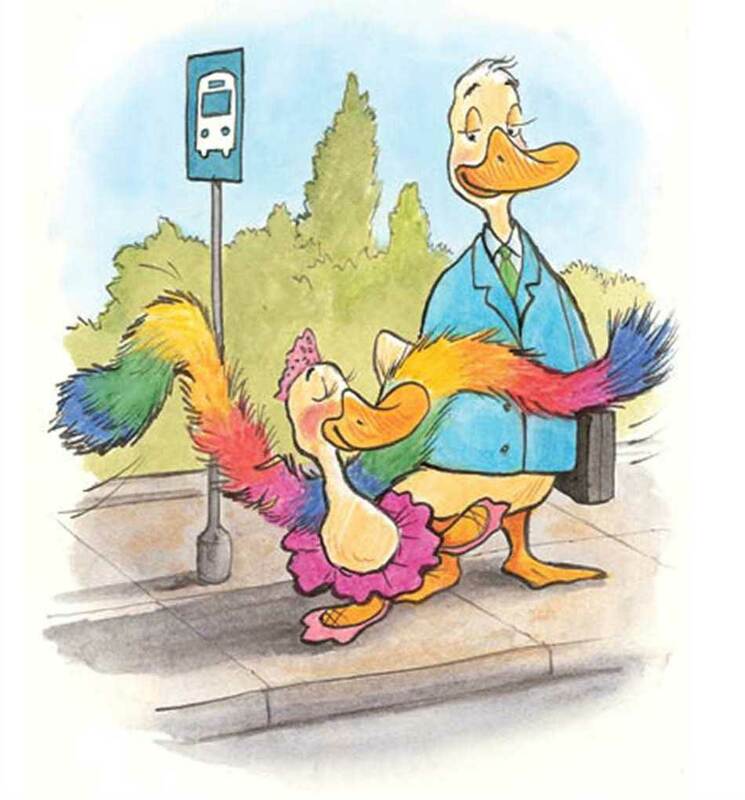 Katy Duck makes a splash at her dad’s office in this delightful Level 1 Ready-to-Read story for beginning readers. 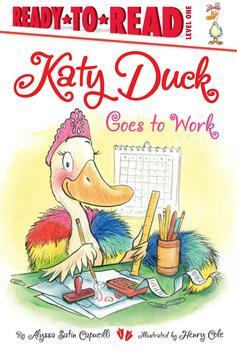 Katy Duck is so excited to go to work with her dad. She chooses her best tutu, finds a beautiful crown, and dons her boa. At the office, Katy Duck types, she colors, she gets water from the water cooler, and, of course, she dances. But as she’s dancing, Katy Duck knocks over a huge stack of papers! Katy learns that sometimes she must be a bit more careful…but she also learns that going to work with her dad is so much fun! Tra-la-la. Quack! Quack!